Wooden churches, as their name suggests, are built completely of wooden materials and represent special religious type of building. Wooden churches were built before and during the Second Serbian Uprising, when by the Turkish rules churches should not be made of any other construction material that wooden (to have short life and to be easy flammable). Also, the Turks allowed the church to be built in the village unless it can be built in one night. Therefore, in village houses were workshops where wooden elements were secretly made and only for one night of them was compiled the construction of the church. When Turks saw new church in a village, they ask locals from where came the church here. Serbs told them that church flew down right from the sky recently and it was sufficient reason for the superstitious Turks not to destroy the church. Also, when angry Turks attacked, churches were taken apart and put away on the safe place until lasted the taxes collection, in order to re-compile later on the same or some another place. These churches were mostly located far from main roads and the Turks eyes. 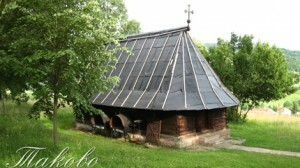 There is some other theory, but it is possible to combine both theories, according to which Serbia, especially Šumadija, was rich in timber, which, consequently, was the main building material, especially quality and worthy Oak that is still taking an important place in rural architecture. 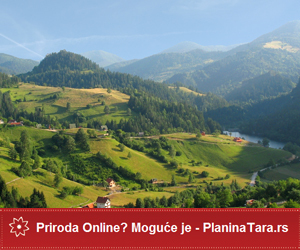 There were over 120 wooden churches in Serbia and it remained only forty of them. Some of them are not representative and they need restoration and renovation. 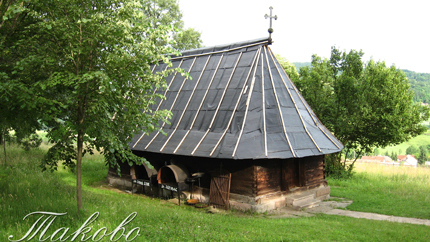 However, these churches are not unique and characteristic only for Serbia. They were built everywhere where timber was an important building material. Except in the Serbia, there are wooden churches also in the Slovakia, Romania, Russia, Poland and in Scandinavia.